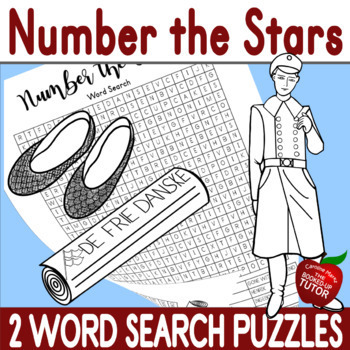 Two word search puzzles for NUMBER THE STARS novel study. 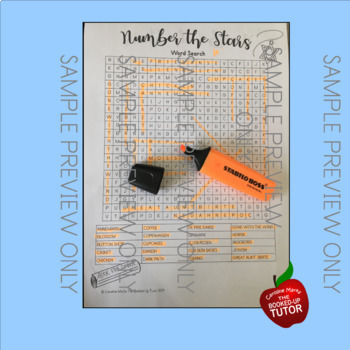 A perfect and fun way to engage your students and embed the details of the story from Lois Lowry. Perfect for Middle School students. 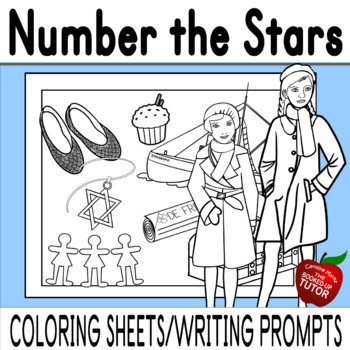 A great early-finisher task or perfect sub lesson supplement. Words go across, backwards and diagonally. 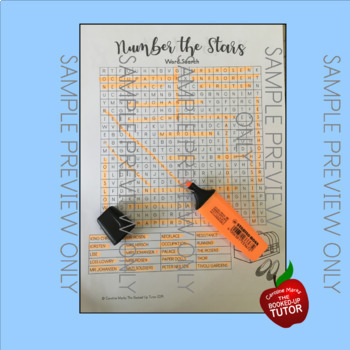 Please see the thumbnails to see the words that are included. ANSWERS INCLUDED.